Preserving the West, Whales and Oceans! Why the Fuss over Whales? Most people on this planet will never see a whale. They might see one on the internet, but that’s not the same as seeing one in the flesh. That might be a bit similar to watching a roller coaster compared to being on the roller coaster. So why the fuss over animals most people will never see or encounter? There are, remarkably, many people who feel their lives have been changed by their very first encounter with a whale in the wild. Once seen in the wild, seeing a whale in captivity is indescribably, deeply disturbing. In 2018 I followed the IWC Convention (International Whaling Commission) very closely that was held in Brazil. According to the IWC, the purpose of the organization is to “provide for the proper conservation of whale stocks and thus make possible the orderly development of the whaling industry.” The IWC is composed of 89 member governments from all over the world. It was set up under the International Convention for the Regulation of Whaling which was signed in Washington DC on December 2, 1946. One of the major accomplishments of the IWC has been the effort to control, and eliminate, whaling. The group recognizes three type of whaling: aboriginal subsistence whaling, commercial whaling, and there is a special permit for “scientific whaling.” Most nations respect the moratorium that was placed on commercial whaling in 1986. There are others who have defied the IWC’s regulations and have continued the inhumane, merciless slaughter of whales. Norway is one such country. Iceland and the Faroe Islands do likewise. Unfortunately, Japan is one of these nations also even though they signed the moratorium. Japan, however, uses the “scientific permit” allowed for research as a reason for their slaughter, which is quite a stretch, having slaughtered over 333 minke whales this past year, including many juveniles and pregnant whales (some say 90%), along with whales living in a protected area of Antarctica. In the 2018 IWC meeting in Brazil, it was reported that Japan came highly prepared to present their argument to do away with the moratorium on commercial whaling. Many warn that lifting the ban could lead to the resumption of the practice of commercial whaling. “The International Whaling Commission established the Southern Ocean Whale Sanctuary in 1994. The sanctuary surrounds Antarctica and bans all types of commercial whaling in the area. There has been dispute over the legality of the Southern Ocean Whale Sanctuary, with Japan completely disregarding the outline and hunting under the false pretense of scientific research. It’s not at all surprising that there is little trust for the Japanese proposal of “self-policing and honest reporting” should the IWC overturn the moratorium on killing whales. Further, there is no way the Japanese can justify slaughtering 333 minke whales for “scientific research.” It’s no secret that much of the meat from the slaughtered mammals is offered on restaurant menus. Although preservation of whales is currently a priority, several countries continue to harpoon hundreds of whales a year. It’s time to save some whales! 100 orca and beluga whales are being illegally held in a bay near Nakhodka in Russia and are being sold to the Chinese for their booming ocean theme park industry in China. There are already over 60 marine parks in China, according to Alec Luhn of Moscow for The Telegraph (British paper). The Chinese plan for at least a dozen more ocean parks. Supposedly Russia is investigating this, but Russia is also believed to be the only country that exports orcas captured in the wild, according to Luhn. Since the “jail” is quite small, this suggests that many of the captured orcas are babies. For every orca captured, however, at least another is killed in the process. 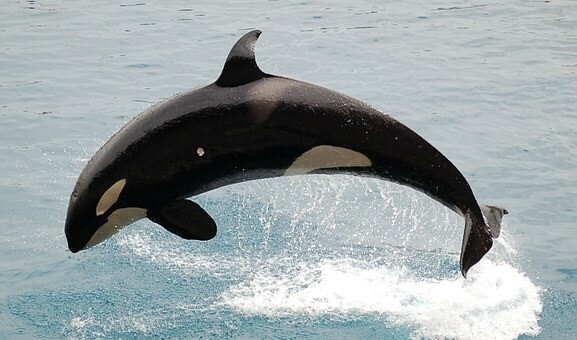 Jailers don’t seem to care since an orca can fetch up to $6 million dollars. This activity flies in the face of the 1982 moratorium against whaling: the only whaling allowed is for scientific purposes (that sounds quite lame) or for those with aboriginal “cultural” needs (another fairly lame sounding excuse taken advantage of by the Japanese who have killed over 1,000,000 whales and dolphins). “Catching them at this tempo, we risk losing our entire orca population,” according to Oganes Targulyan, a Greenpeace Russia research coordinator. Enough of this inhumane horrible activity. Perhaps if President Trump stood up for orcas like he has for his recent signing of the Save our Seas Act, he might gain a slew of caring supporters. As for me, I will write the president about this and, since I already boycott Chinese products, I’ll pass the information along to those who care enough to come up with their own plan to help right this incredible wrong. Westerns, Whales and Oceans Welcome You. This website is sponsored by and aligned with Moonlight Mesa Associates, a small publishing house located in Wickenburg, Arizona. We’ve been a western book publisher for over 10 years, although we have published other genres also. We are going through growing, and aging, pains right now as we broaden our horizons and our publishing interests. We’re moving from fiction to nonfiction, and you will find new and forthcoming nonfiction titles here – but only “watery” titles. The profit from every “watery” book we sell is being donated to either the Ocean Foundation, the Ocean Conservancy, or the Orca Conservancy. We’re also dedicated to ending the cataclysmic catastrophe of plastic pollution in our oceans. These materials kill 1,000,000 seabirds a year, and over 100,000 marine mammals. We are passionate about whales, particularly orcas and humpbacks. We are dedicated to helping save the Southern Resident Pod of Orcas and keeping them from extinction. You will find our westerns, water-related books and other genres featured on this website. We don’t have many water titles yet, but we’re in the process now of preparing for the publication of Saving Our Oceans, by award-winning writer, R.L. Coffield. Here is one “watery” book we’ve published. Since the Moonlight Mesa Associates had an unexpected death, and who knows for how long, you’ll need to order from Amazon, or contact us directly via this blog. Once our website here is set up, you can do mail orders here also. Learn how to build your own boat and take up rowing. You’re never too old to enjoy this sport! 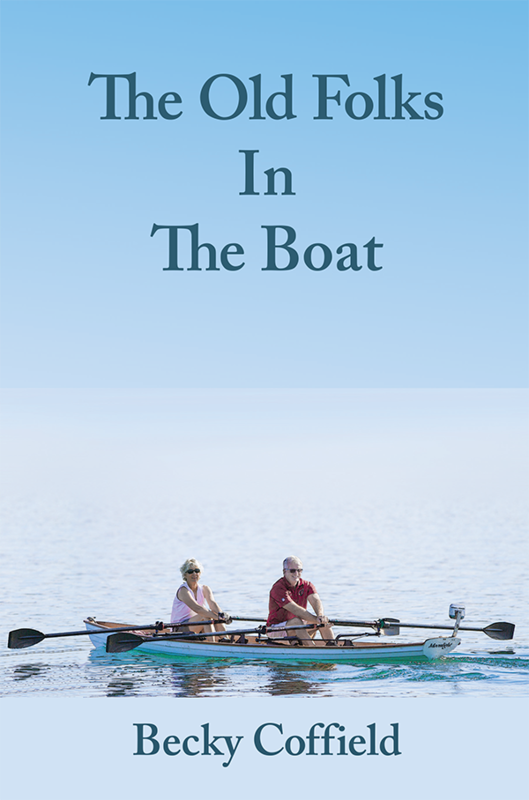 The Old Folks in the Boat is a great primer for beginners and older rowers. Author Moonlight Mesa AssociatesPosted on October 20, 2018 October 30, 2018 Categories UncategorizedTags moonlight mesa associates, orca, orcas, the old folks in the boat, westerns, whales and oceansLeave a comment on Westerns, Whales and Oceans Welcome You. Moonlight Mesa Associates, Inc Blog at WordPress.com.